Has being stopped by a police officer for no violation made me angry? Yes, it has. EARLIER this year, Seattle Times columnist Danny Westneat called me at home. A portion of our discussion appeared in his July 10 column “Driving While Black.” We talked about a broad range of things, including my various traffic stops by the Seattle Police Department. I wasn’t speeding nor did I have an issue with my car. Earlier this year, I was pulled over by a SPD officer for the eighth time. This time, I was stopped because one of my car’s headlights was out. Up to this point, I only had shared with my wife, Cayan, the time years ago when officers turned their car’s high beams in my face when I was walking home from work. They were laughing and then turned them off. As a parent I am still irritated about the officer who stopped my kids on their way to football practice at Rainier Playfield. They were in their practice uniforms. The officer asked where they were going and if they lived in the neighborhood. When my kids replied, yes, he told them black kids didn’t live in that neighborhood. I remember venting about this with Ron Sylve, a lieutenant with the SPD, who had spent hundreds of hours coaching football in South Seattle. He also co-founded with me the Paul Robeson youth achievement awards. Later, when I served on a panel that would recommend a new police chief to Seattle Mayor Ed Murray, I shared with each candidate that I had been stopped by Seattle officers seven times. No one questioned the racial implications of my statement. I wanted to alert them to the need for training. I had also confided the stops to members of my security detail during my 13 years as King County Executive. Their advice: When stopped by police while driving, put my registration, driver’s license and insurance card on the dashboard; roll down the window and keep both of my hands on the wheel. If it’s at night, do all of this after turning on the dome light. This is what I did earlier this year at my eighth stop. Cayan and I drink a lot of coffee. My favorite blend comes from Peet’s Coffee across from Green Lake. One morning I was driving to Peet’s because we had run out of coffee. As I pulled up to the stoplight at Rainier Avenue South and South Dearborn Street, I saw the blue and red lights behind me. A voice over the loud speaker said I was stopped because a headlight was out. The officer ran my plates and walked up to my car. I gave him my car registration, driver’s license and insurance card. I kept saying to myself, why didn’t the officer just tell me that I had a headlight out? After returning to my car he then asked me, with an authoritative voice, where are you going? I shook my head. I was in disbelief. I said with some firmness that I was going to get a cup of coffee. His question was unprofessional. It wasn’t any of his doggone business what I was doing. As I drove away, I assumed he was a new officer. I also felt he had nothing better to do than to bother me. When I went to the auto supply shop to get my headlight fixed, the store manager struck up a conversation and asked me if I needed two new headlights. I told her I only needed one. She asked, “Was your dashboard indicator light on?” I told her, no, that a police officer had stopped me. She couldn’t believe it. Cayan and I have very dear friends who are law enforcement officers. Neither of us would want their jobs. A majority of police officers serve the public quite well. They are professionals. They are also coaches, tutors and volunteers doing amazing work in the community. And I believe that they would not hesitate to step between you and harm’s way. This is why I respect the work of police officers. Most of my experiences with them have been very good, and because of that, I always thank them for their service. Has being stopped by a police officer for no violation made me angry? Yes, it has. It is demeaning and hurtful. Why me, I ask myself. Why me? I didn’t deserve this! Even after all of these years, it still seems such an unfair price to pay. The stench of it seeps deep into my pores. 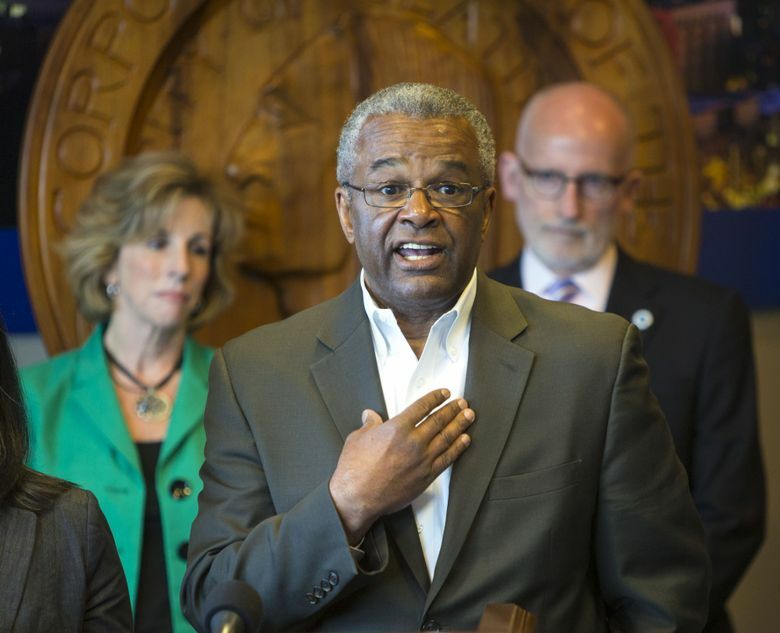 Ron Sims served as the deputy secretary for the U.S. Department of Housing and Urban Development and, previously, as King County Executive.